In a shocking move the Daily Telegraph has got rid of its Business Editor, and subsequently the other Financial and City columnists have left. In the future, its business coverage will be written by their sports, arts and news desk staff and will not undergo thorough and knowledgeable editing. Actually, this is not true. There would be riots on the 0720 commuter train from Surbiton. What is true, is that the Telegraph has lost its science staff. London commuters are unperturbed. 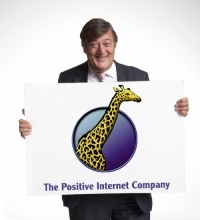 Accuracy on the business pages is not just morally important, but legally too. Receiving accurate information about the state of the economy, businesses and the markets is vital for the efficient workings of of commerce. Bad information leads to financial loss, inefficiency and even fraud. The papers know this and their responsibilities are monitored. Accurate science and health advice does not appear to be quite so highly valued. James Le Fanu is writer of the Telegraph’s Doctor’s Diary. The strapline claims that ‘James Le Fanu has solutions to your health conundrums’. Le Fanu has written interesting things before. His book, The Rise and Fall of Modern Medicine, follows the staggering benefits that modern medicine has given us by documenting ‘twelve definitive moments’ including the developments of penicillin, chlorpromazine, open-heart surgery, hip replacements, transplanted kidneys and childhood cancer cures. The risks taken, vision and determination of the pioneers of these fields make fascination reading. He then charts the ‘fall’ of medicine by describing the difficulties in finding the next breakthroughs with the tools of molecular genetics and epidemiology. What is then surprising is the flippancy with which he writes about his ‘solutions to your health conundrums’. He posed a conundrum in his previous column asking for reader’s tips about how to remove a glass splinter from a finger. Amongst the suggestions were three homeopaths who wrote in to suggest Silica 30C. Le Fanu reports this suggestion without comment. Amazing. So, glass being silica based can be removed from the body by magic sugar pills that have been exposed to the vitalistic energy of silica. Straightforward witchcraft in the Telegraph. A non-drug treatment for hay fever devised by acupuncturist Andrew Broch, himself a sufferer, who found that a couple of rubber bands around the elbow reduced his symptoms of sneezing and itchy eyes. The idea is now commercially available as “the Original Qu-Chi acupressure band” from Airtight International (http://www.airtight-international.co.uk/). So, not only are we to believe that wing-of-newt silica non-potions can remove splinters, but rubber bands around the elbow can relieve hayfever. Does Le Fanu realise how ridiculous he sounds writing about such balderdash? Airtight organised some medical trials with some proto-type bands. 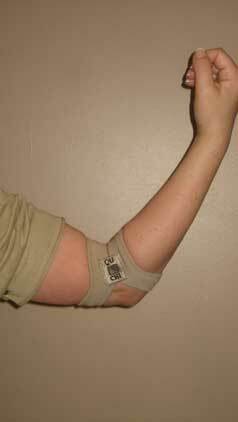 The studies suggested a benefit experienced by people wearing the ‘Qu-Chi band’. That’s nice. The company say they have done some tests themselves, and so they claim they have some sort of scientific proof by medical trial. The product is supposed to stimulate an acupuncture point. It does not appear to worry Le Fanu that acupuncture is pseudoscientific nonsense without a shred of evidence to support it. The ‘Qu-Chi Band’ works very quickly and there are no side effects. It would be interesting to see what Trading Standards in Leeds would make of these claims in light of the new EU based legislation that states that, “falsely claiming that a product is able to cure illnesses, dysfunction or malformations” will be against the rules. We don’t yet have any published trials to date. Our latest study has just been completed and the raw data is being analysed. It is our intention to submit this for publication, once it is written up. Unpublished scientific trials from commercial sources are the science eqivalent of city rumours. If the Telegraph business pages flippantly reported such rumours and unsubstantiated claims about companies profits or stability, it is likely that heads would roll. If fraud was suspected, then journalists could go to gaol. The Telegraph needs to strengthen its scientific editorial or risk becoming the next newspaper laughing stock. The Independent went there. The Observer is rubbish. Science is the best method we have invented for determining what is true about the world. A lack of commitment for science displays a simple lack of commitment for the truth. It is no wonder that no-one is buying newspapers anymore. Great, great headline sir. We salute you. Whether the bands work or not considering the “inventor” discovered the effect with a couple of ordinary elastic bands suggests that these will be equally effective. Any reader with an ounce of sense will pop to Smith’s and not bother with the ones carrying a stupid name. I’ve noticed recently a few of these types of acupressure bands claiming to cure hayfever, all with pretty much the same MO. Namely, do down conventional treatment, make a big deal of the ‘natural – no side effects’ (though keep quiet about possibly being no effect at all! ), appeal to allegedly long, venerable history of use in China, supply personal testimonies instead of references to well-conducted studies. This site gives some very misleading information about desensitisation, though I admit its bright yellow band is rather snazzier than the Qu-Chi one. But not as amenable to great puns! Are there “known” reflexology pressure points near the elbow, or is Le Fanu making them up ? Who make reflexology charts anyways ? Ancient thibetan monks lore ? Reflexology charts are designed thanks to nerve connections, they go through our bodies and finish in hands and feet carrying tightness and pain with them. I thought monks were only making cats jump ? Well it worked for me. So whatever you think of it I'm very pleased with mine. Perhaps you saw the Horizon programme on “placebos” and the astonishingly successful results with people who had various conditions. If not, give it a try. But better not – your professional cynicism may need radically adjusting, and that wouldn’t do would it?